Strap Your Guitar or Bass on Securely! Your guitar strap has never been so secure, with the LOXX strap lock system! 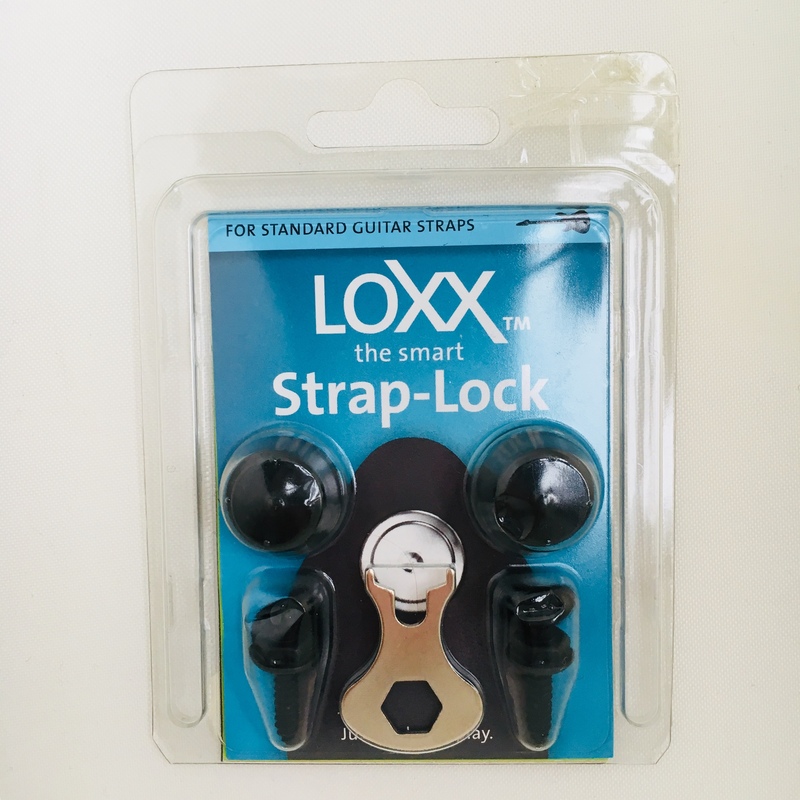 The original design for the LOXX strap locks was invented in 1924 by Mr. Thomas Morton, as an innovative way to secure convertible car tops - and the innovative design is perfect for securing your guitar strap too! You get two 16mm LOXX pins, two LOXX locking heads and washers, a LOXX tool, and a manual. Installation is simple, and the LOXX system has easy, one-handed release and engagement - it can even resist pull-out force up to 220 lbs.! It's never been so easy to slip your guitar or bass on and off as it is with the LOXX strap lock system. Lock your guitar or bass strap firmly in place with the LOXX strap lock system!